I could say the age of fresh ideas is past. Or I could say it it ain't broke, don't fix it. Let's assume the latter, since Kohl's is having yet another Big Weekend Sale, with discounts storewide up to 60% OFF. To say it's broad is an understatement - sandals and patio umbrellas are mentioned on the same sale page. If you know Kohl's, you know they sell clothing, furniture, home items like towels and plates, etc. I just can't get enough of the discounting they provide. 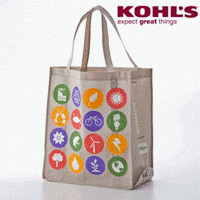 Click here to view the deals at Kohl's. Also, if you spend $75 they will toss in FREE shipping.